Sometimes very useful tools can be very simple home made affairs. 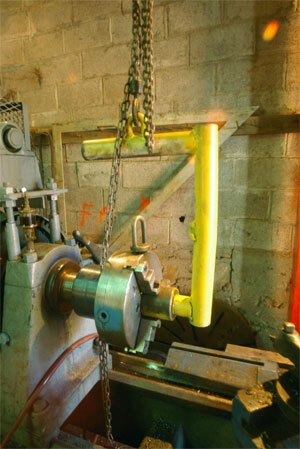 Heavier lathe chucks often include a place to screw an eye bolt in for lifting. Those that don't are often lifted with a bolt connected to a slot. 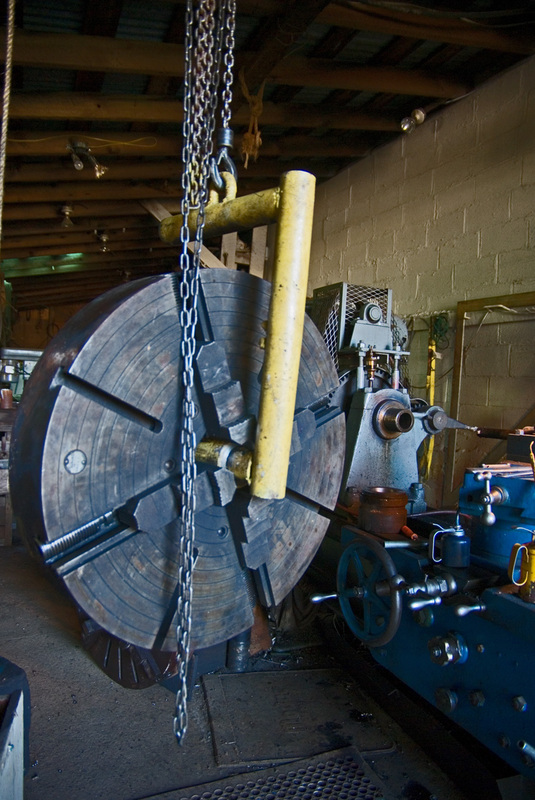 This is all and well for lifting the chuck, and if you have a newer style lathe (one made in the last 75 years), this may be all you need. 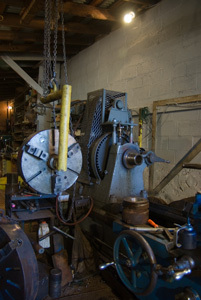 Cam lock mounts and taper mounts have been around since the 1930's and they all allow you to swing the chuck into position and attach it in some fashion. 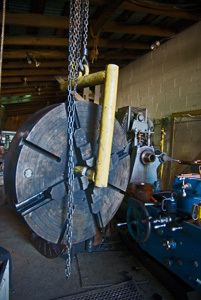 However if you have an older lathe, it likely has a threaded spindle. This implies that not only do you have to lift the chuck into position, but you have to line it up and screw it on. The screwing in on part doesn't work very well if the chuck is hanging from an eyebolt from a chain fall. The tool shown here solves the problem. It is made from some old (large) pipe, and has a steel bushing slipped over the bottom leg (and held there with a couple of large cotter pins. A little grease and you are good to go. 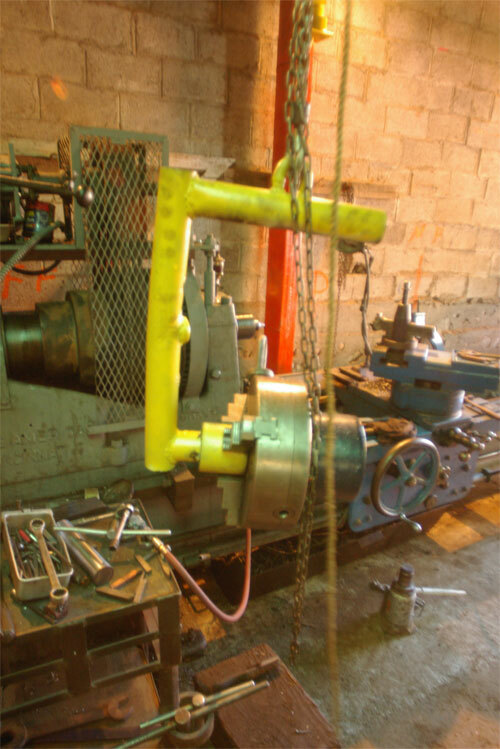 You can swing the chuck into position using the chain fall, jocky it until the threads are straight and spin it on, and only then do you need to release the holding device which is simply clamped in the jaws of the chuck. The lifting eye shown on the chuck is simply used for a 'handle' to assist in spinning the chuck onto the spindle.